In an attempt to take advantage of people in need of services, there are scam artists claiming to be professionals in most industries. In the garage door repair service industry, there are scams being conducted by licensed and unlicensed parties. There are scams that are more common than others in Nevada and today, we at Vegas Valley Garage Door Repair would like share some of the top common scams and tips to avoid them to help consumers be more aware. 1) Extremely cheap garage door service charges. Be cautious when the services charges are too cheap to be true because they likely are. 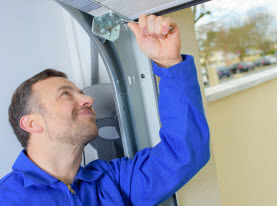 There is always a charge for a service fee to come to your home and a little more if it is an emergency from an authentic garage door service provider to assess the problem. The scam is a low-rate garage door service repair that will take your credit card information over the phone to charge the small fee that seems inexpensive in comparison to competitors. These places then send 3rd party generic handymen who push pedal their fees to nickel and dime you with often unnecessary services that also include other fees and charges. When you get your billing statement it is an outrageous total. Typically, the red flag is the company demanding payment before sending the technician to come to your home. 2) Handymen network claiming to be garage door repair technicians. In recent years, a rather popular scam is handyman type websites popping all over the web to have homeowners believe are a professional garage door repair business. 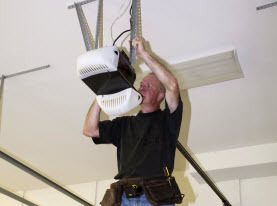 Their technicians have little to no experience and no formal training. They take the “fake it until you make it” strategy too far and end up leaving you garage door in far more wear than when you first had it on their arrival. To ensure you are dealing with authentic professionals, do not hesitate to ask to see licensing and certifications. 3) Un-honored lifetime warranties. Unsuspecting homeowners are being offered high-priced warranties that are supposedly good for a lifetime on parts such as springs that are not designed to last a lifetime and are not ever backed by a lifetime warranty and when it is time to deliver they do not. 4) Poor Estimates. After the services are done unsatisfactory and the bill is 3 and 4 times the repair technician” “rough estimate”. To avoid this scam, request in writing a firm price up front before any work begins. If they should act as if that is an unacceptable request, don’t be afraid to request legitimate reasons why, if they com short, it will be in your better interest to look for services elsewhere. 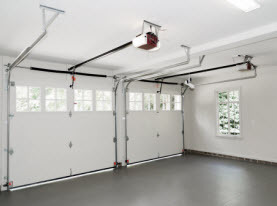 Garage Door Maintenance & More in Aliante, Anthem, Desert Shores, Eldorado, Enterprise, Green Valley Ranch, Henderson, Inspirada, Mountain’s Edge, North LV, Paradise, Peccole Ranch, Providence, Rhodes Ranch, Seven Hills, Silverado Ranch, Spring Valley, Summerlin, Sunrise Manor, The Lakes, Tuscany Village & Las Vegas Nevada. 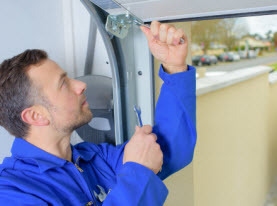 When you are in need of a professional garage door service repair in the Las Vegas, Nevada Valley, call Vegas Valley Garage Door Repair, we have the licensing and certification to offer our valued customers quality and authentic services. Contact us today!